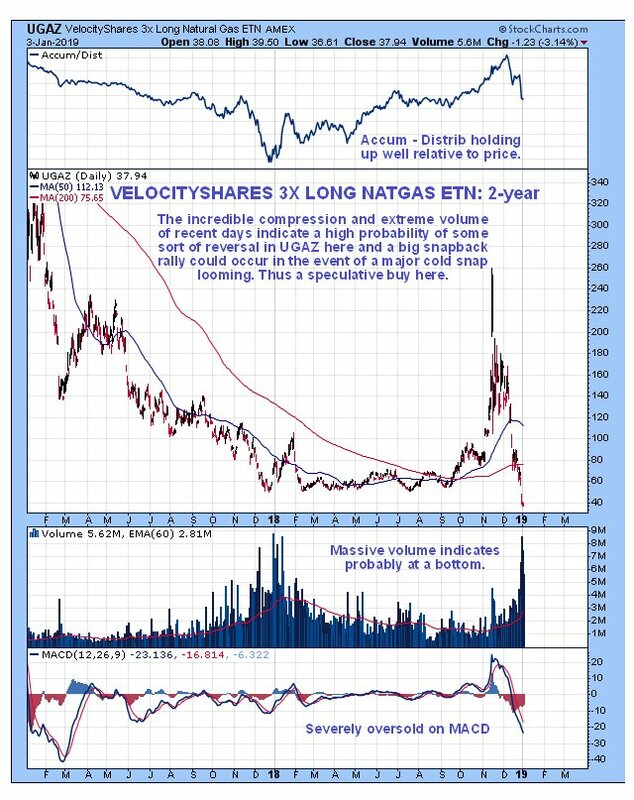 Natgas has plunged in recent weeks and is considered to have fallen too far too fast, creating a high degree of "compression" that is thought likely to lead to a snapback rally, especially if the prospect of a cold snap in the northern world looms in coming weeks, in which case any such rally could be sizeable. 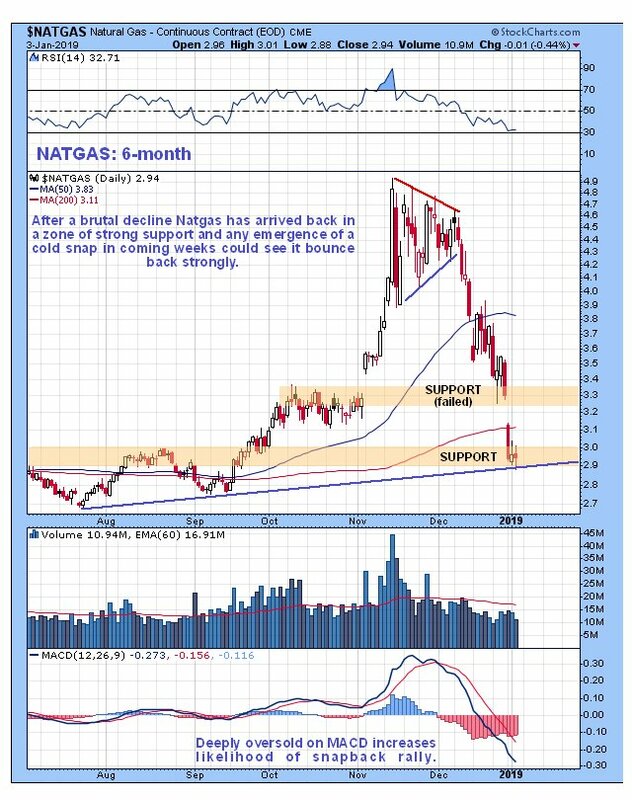 We can see this on the 6-month and 2-year charts for Natgas shown below. 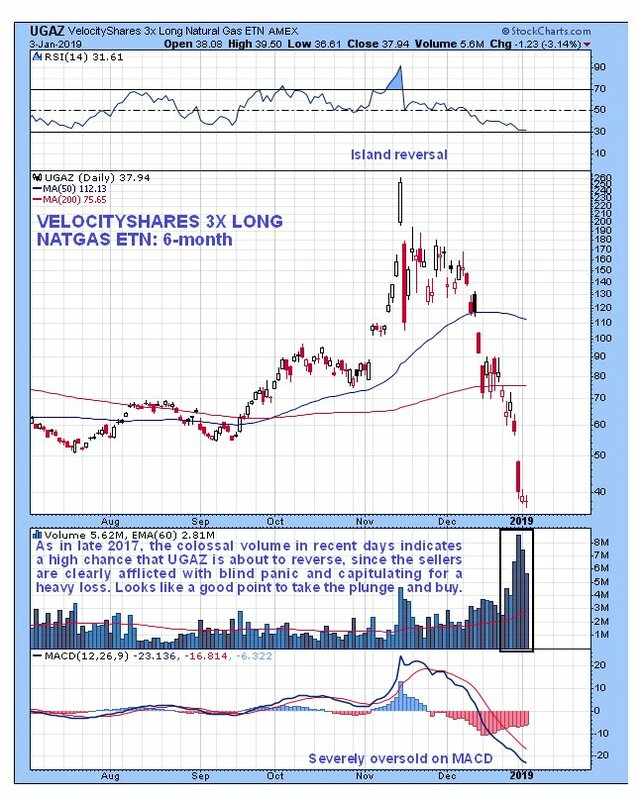 This looks like an attractive setup for traders, and a vehicle that may be used to capitalize on a snapback rally in the near future is the 3 times leveraged long Natgas ETN, UGAZ, which has dropped through the floor in recent days, with a staggering decline from $260 at the peak in November to just $38 yesterday. Of particular note here with UGAZ is the immense volume which looks like losers in a state of blind panic capitulating for a heavy loss, and thus probably signifies the bottom. Finally, it must be pointed out that despite its obvious attraction, this is not a trade for the timid. 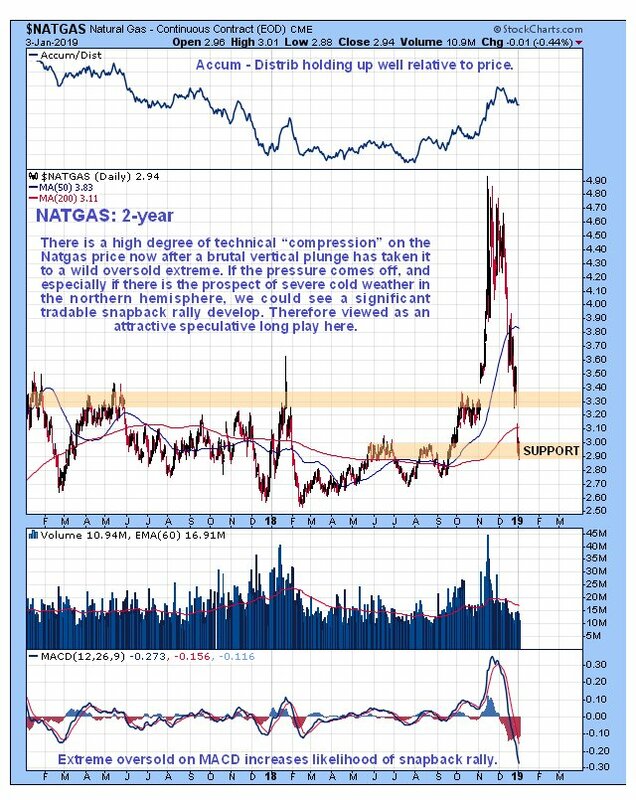 This thing doesn't take any prisoners if you get it wrong, and if Natgas continues to fall it could drop further, although clearly, given how far both have fallen in recent weeks, the probability is that they will rally soon. Bear in mind that if you take the trade you might have to tough out a little more downside before the expected move occurs, which is often the case when you attempt to buy right at the low. Natural Gas closed at $2.94, UGAZ at $37.94 on 3rd January 19. Posted at 3.26 am EST on 4th January 19.